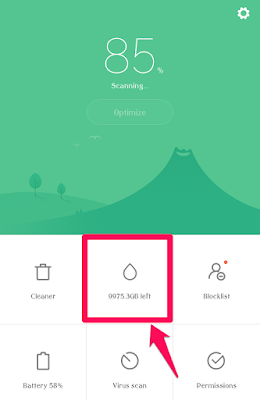 How to control Data Usage in MIUI 8 using MIUI Security App? - IT ADDA! 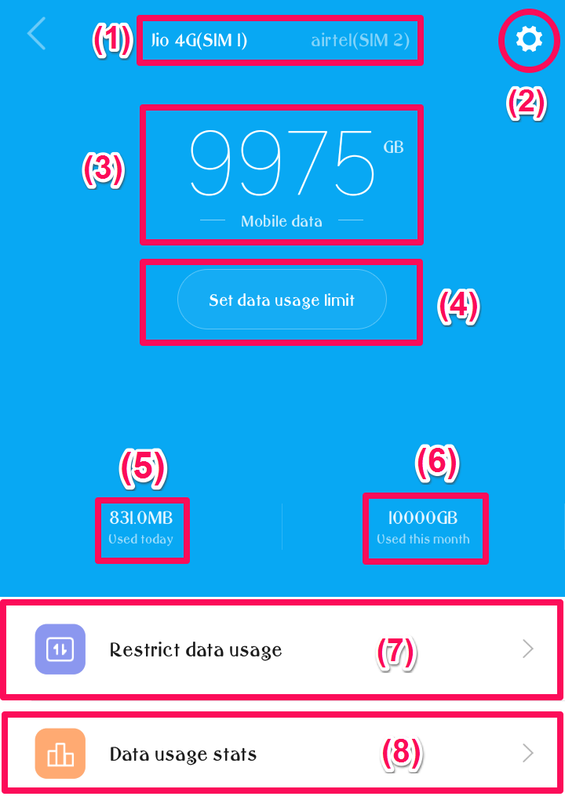 Are you one of them who didn’t understand “How to control the Data Usage of your MIUI Phone?” Well, here I am to explain this. 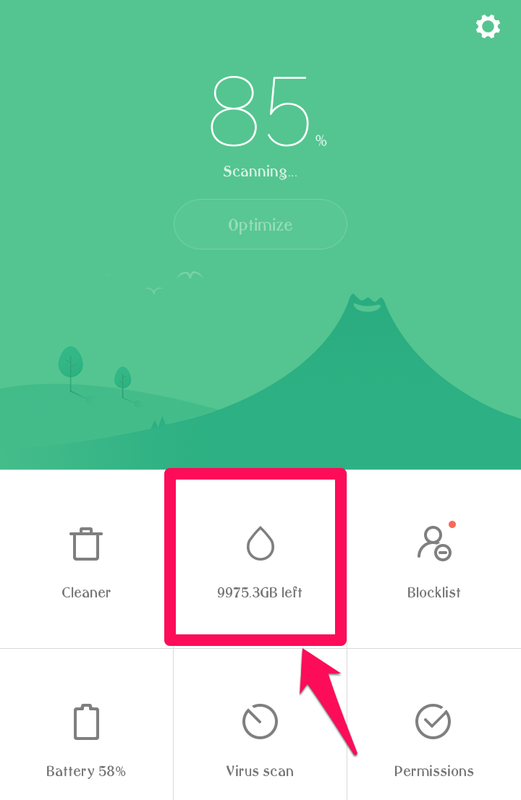 This is the complete guide on how to use your MIUI Security App to control the Data Usage on your phone. 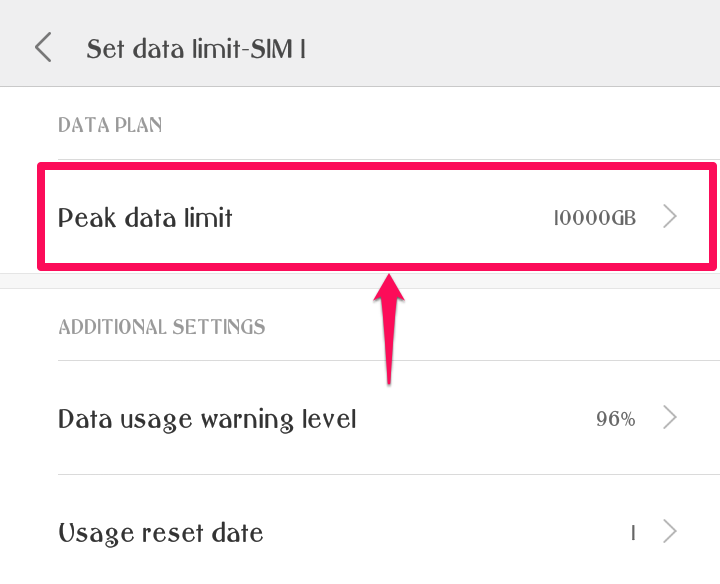 Now there is no need to lose your main balance when the Data Limit of your Data Pack exceeds. Meanwhile… Did you know? You can also use more than 20 Network Types on your MIUI Phone, Check it out here. You can also Subscribe to our Free Newsletter to receive such interesting articles directly in your email. Let’s move on to the topic. First of all, You need to open your Official MIUI Security App, to access the Data Usage Control Feature. Section 1: Section 1 shows which SIM is currently selected if you are using Dual SIM on your phone.You can control the Data Usage of both of your SIM by swiping or clicking on it. Section 2: Section 2 is just showing you the clickable settings icon.You can manage and customize a lot of things inside after clicking on it. 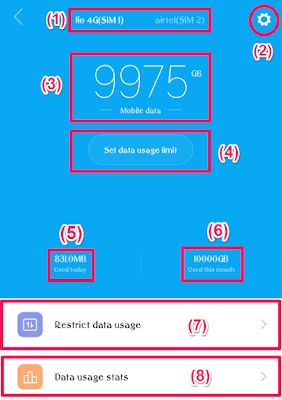 Section 3: Section 3 shows you the how much Data is left in your current Data Pack/Data Limit that you have set on your MIUI Data Usage app/feature. Section 4: Section 4 is clickable.It allows you to set Data Usage manually. You can reset the data counter by clicking on it and following the instructions (but this is not recommended). Section 5: Section 5 shows you the analytics of How much data is already used today. This resets automatically every day. Section 6: Section 6 represents the Data Used throughout the month. By default, it resets automatically on the 1st day of every month but you can change it to any other day if you want. Section 7: Section 7 is again a clickable area. By clicking on it and following the instructions you can restrict data usage of individual apps and control even the system apps. However, take care while doing it because you can disable many things by doing this. Section 8: Section 8 is also clickable. It shows you the stats of your Data Usage. You can see how you are using your data? Which app is using the most data? How much you spend monthly, weekly or daily? And many more things. If you don’t want to watch the video or didn’t understood well in the video, Let’s continue and I’ll explain it. As mentioned in section 1 of the app interface, the section 1 allows you to choose between two SIM(s) to manage them if you are using Dual SIM on your phone. However, both the SIM options will show the same interface and settings so we will talk about only one. For SIM 2 you can follow the same things that I’m going to tell you right now. Data Usage: If you see in the screenshot above, there is a blue button on the right side of the screen alongside Data Usage. This is because MIUI turns it ON by default. If it is turned off on your phone then turn it on to use the features of this app. Note: Turning the Data Usage ON here. does not mean that you are Turning ON your Mobile Data. They have named it incorrectly, I think it should be named “Data Usage Counter” or “Manage Data Usage” or anything else that is suitable. By turning it ON. You will just allow your MIUI Data Usage app to manage and control the Data Usage of your MIUI Phone. This will not turn on your Mobile Data. The first option after clicking on Mobile Data Limit is Peak Data Limit as you can see in the screenshot above. By clicking on Peak Data Limit you will be allowed to set a peak data limit for MIUI Data Usage app to control them. This will be the maximum data limit to be used on your phone. This step is necessary to use other features like – Turning Off Mobile Data automatically. Also read: How to perform Transactions in UPI Enabled Apps? Data usage warning level: The next option in the settings page is Data usage warning level, which is just below the headline “Additional Settings”. 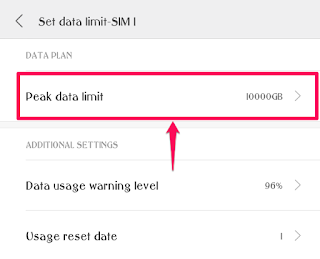 By clicking on it, you will be prompted to set a level of Data Usage – When you would like to get a Warning from the app that your Data Limit is about to exceed. This post is still incomplete and it will be updated soon, Stay Tuned! Next story How to Hide/Unhide any Folder/Album in MIUI Gallery? Previous story 5 Amazing Android Photo Editing Apps, That you should know! Thank you so much. I’ll surely do that. Thanks for suggestions but my website doesn’t have any duplicate content. What if, let’s say, I don’t want my wife knows that I have spent 10GB on 9GAG. I see nowhere I can clear those numbers in Data Usage Stats. It shows 9GAG 10GB, WhatsApp 500MB, GMail 200MB, etc. I want it cleared. 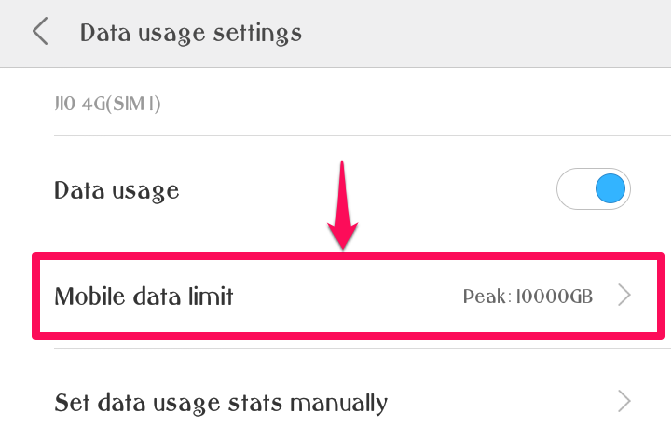 Hi, There’s no option to reset those data usage stats in MIUI. Hi, That can not be cleared without clearing the app data. But clearing app data completely resets the app so you might not want to do that.